Bambam as a person’s name might seem like an oddball suggestion, but although it would definitely be an unusual choice, I don’t think it’s an unfamiliar one either. For a start, there is Bamm Bamm Rubble from The Flintstones, first introduced as a cute blonde baby with superhuman strength. His name came from the fact that he would say Bamm bamm, and swing his club, to the general destruction of everything around him. Bam Bam is used as a man’s nickname, from American wrestler Bam Bam Bigelow to British DJ Bam Bam. There’s also skater Bam Margera, who gained his nickname from constantly running into walls as a toddler. I have seen a baby boy called Bambam – although that may have been a nickname. In English, bam bam is an onomatopoeic interjection, suggesting one thing repeatedly hitting or banging into another. In much the same way, in Nyungar (from south-west Western Australia), bam means “to hit”, and in Bundjalung (from northern New South Wales), bambam means “bruise, swelling”. However, in the Meriam language from the eastern Torres Strait Islands, bambam means “yellow”; in Indigenous art, yellow ochre is often used to represent the earth. It’s quirky, but Bambam is a rather lovable name. Daku means “sand hill” in the extinct Diyari language; the Diyari people are from the South Australian desert, and thus very familiar with sand. Despite being generally used as a boys name in Australia, Daku is also a unisex name in India, and in Hindi it means “bandit”. Someone wrote in to the blog considering the name Daku for their son, but they never got back to me, so I don’t know whether they overcame family opposition to the name or not. This name reminds me a bit of Dakota, and it has the fashionable OO sound, such as Reuben and Jude; the name is pronounced (I think) DAK-oo. It would be a bold choice though, and I haven’t seen many boys with this name, although it can be found a few times in historical records. Jardi means “front” in the Ngadjumaja language; the Ngadjumaja people are from the Nullarbor Coast area of south-east Western Australia. I remember reading in the papers last year about a baby boy from Mudgee who has named Jardii, and his mother explained that his name was from the Wiradjuri language and means “first born son”. I wasn’t able to find that information for myself, but it occurred to me that “front” and “first” are similar in meaning, so Jardi also seemed like a good name for an eldest son. In the Jaminjung language from the Victoria River region of the Northern Territory, jardi means “to keep”, which also seems very positive. I found quite a few Indigenous boys and young men named either Jardi or Jardii, and I think it’s really attractive, with a similar sound to Jordie, the short form of Jordan. Jiemba means “laughing star” in the language of the Wiradjuri people of central New South Wales. It refers to the morning star, or the planet Venus. (In some other Aboriginal languages, djimba simply means “star”). Astronomy was very important to the Wiradjuri, as with other Aboriginal societies, because stars and planets were used to tell the times and seasons, and this information was first given in early childhood. It is recorded that in the Wiradjuri in the 19th century, the elders would teach the children the stories behind the stars (the constellations), while the old women would teach children to count stars, which they could do into the thousands using a particular system. This information comes from radical poet and journalist Mary Gilmore, who grew up in Wagga Wagga, and was given the name Jiemba by the Wiradjuri people. Despite it being given to a little girl, I have only seen Jiemba given to boys – most likely because it is said JIM-ba, and thus shortens to Jim or Jimmy. One of the Aboriginal men from the Sydney area first encountered by Europeans was named Jimbah, so it sounds quite masculine (this Jimbah may also have been Colebee). Lue is a small village in the Central Tablelands region of New South Wales. Its name means “chain of waterholes” in the local Dabee language – the Dabee are part of the Wiradjuri group. The village’s name is pronounced LOO-wee, which makes me think that this could be an Australian alternative to Louis or Louie. There are quite a number of people named Lue in Australian historical records – many of them are of Chinese ancestry, but there are some from the Lue area, suggesting that at least a few of them were named after the village. A nulla nulla, also known as a nullah or waddy, is an Aboriginal war club or hunting stick; the word comes from the extinct Darug language from the Port Jackson area of Sydney. A nullah is a heavy club which could be used in hand to hand combat, or used to stun prey; sometimes they were used to punish lawbreakers. In addition, these useful tools could be used to make fires, and grind ochre. This name is frequently Googled, because Nullah is the name of the young Aboriginal boy in Baz Luhrman’s 2008 epic, Australia, played by Brandon Walters. The film is set in the Northern territory, so the choice of Nullah for the character’s name is not meant to be authentic; I wonder if they chose it partly because it suggests the name of the Nullarbor Plain (Latin for “no trees”). Nullah is also a Hindi word for a narrow, steep-sided valley; in dry countries like Australia, these nullahs are commonly filled with brushwood, and when it rains heavily, they temporarily become streams. This could be another inspiration for the character’s name. Omeo is a town in Victoria which is in the East Gippsland, set high in the Great Dividing Range. Its name means “mountains, hills” in the local Gunaikurnai language, or one of its dialects, because it is set on a treeless plain on the fringes of the Snowy Mountains. There is evidence of human occupation of this region dating back around 20 000 years, and the first reported sighting by a European of Omeo was in 1832, by a naturalist on the slopes of the southern alps. It was his reports of fine grazing land which soon attracted pastoralists and squatters to the region. Gold was discovered in the 1850s, but Omeo’s isolation meant that it did not experience the massive boom of many goldfields towns – it did however, have the dubious distinction of being the roughest and most unruly place on the goldfields. Its first magistrate was Judge Browne, better known as author Rolf Boldrewood, who wrote of the area’s lawlessness in his novel, Robbery Under Arms. This name looks and sounds like Romeo without the R, which gives it recognisability as a name, although it also reminds me of Omo washing powder. Its goldfields history gives it a bit of a “wild west” feel; it seems a bit more bad boy than romantic Romeo. Omeo has had some use as a boy’s name in Australia, especially amongst people from Omeo itself, and was more often found in the middle. 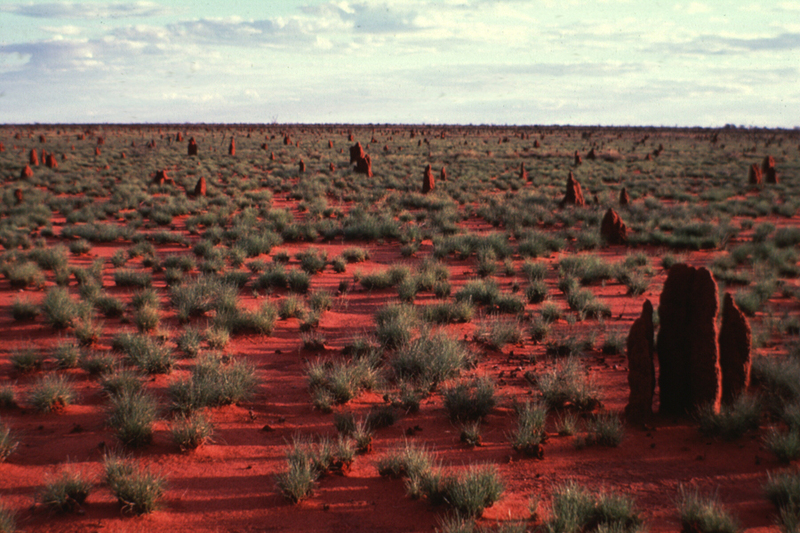 The Tanami Desert is in the Northern Territory, and is Australia’s most northerly desert. In the wet season, it rains heavily and even floods, but the high temperatures mean that most of it evaporates. Some parts of the Tanami do have wetlands though, and there is even a lake which has permanent water in it, so as deserts go, it’s on the slightly moist side. It is a refuge for several rare and endangered species of flora and fauna, making it a biologically important area. You can cross the desert on the Tanami Track, which is more than 1000 km long, and goes from Alice Springs to Halls Creek, in the Kimberly region of Western Australia. Tanami is a corruption of the local Walpiri name for the area, Chanamee, meaning “never die”, because the rock holes in a particular gully were said to never run dry of water, even in drought. When white people came here in the early twentieth century, they found to their dismay that this was not the case, so either the name was optimistic in nature, or the Indigenous people had a superior knowledge of obtaining water from the rock holes. I have seen Tanami occasionally on girls, but after seeing it given to a boy, I really like it as a male name. The pronunciation is TAN-uh-my, but the Aboriginal pronunciation would be more like TAN-uh-mee, so you could take your pick on how to say it. Woden Valley is a district of the capital city of Canberra. The area is named after a homestead owned by Dr James Murray, which was built in 1837. In Aboriginal Place Names, Harold Koch suggests that the name of Dr Murray’s homestead may have been influenced by the word wadyan or wadhan, which means “possum” in several Indigenous languages, in an area stretching from the Monaro region right down to Omeo in Victoria. If so, then the spelling was altered to make it look like the name of the Anglo-Saxon and Germanic god Woden, whose name means “inspiration”; Dr Murray saw him as a god of wisdom. Woden was the chief god of the Germanic peoples, and is their equivalent of Odin. Anglo-Saxon royalty claimed that Woden was their ancestor, and he survives in English folklore as leader of the Wild Hunt, and perhaps even as Father Christmas. Of course, we unconsciously celebrate his special day once a week, on Wednesday (Woden’s day). With Odin being a rather hip name at present, Woden really doesn’t seem too strange, and this could be a way of celebrating Australian and English heritage together. There are a couple of men named Woden in Australian historical records, although it is more common as a middle name. Yarramundi is an outer suburb of Sydney which is a semi-rural area in the City of Hawkesbury. It is named after a famous Indigenous leader who was a member of the Boorooberongal clan of the Darug people, and a garadyi, or shaman – a healer, a man of great spiritual knowledge and power, and an enforcer of tribal law. Yarramundi’s son Colebee was the first Aboriginal person to receive a land grant, and his daughter Maria was the first Aboriginal child to be enrolled in a school for the education of Indigenous children; her marriage in 1824 was the first legally recognised union between an Aboriginal woman and a convict. Maria ended up being a successful land owner in Liverpool and Blacktown, and dozens of families in the area trace their ancestry back to Yarramundi. Yarramundi means “deep water”, and I saw a newspaper story about a baby boy named Yarramundi after this inspiring namesake. POLL RESULT: People’s favourite names were Jardi, Lue, and Nullah, and their least favourite were Yarramundi, Omeo, and Bambam. My dad and stepmum were seriously considering naming my baby brother Bambam! They decided against it in the end but still love it, haha. I’m not too sure about it…. I think it’s totally cute as a nickname but perhaps not as a given name. It IS very cute …. I can imagine people seriously considering Bambam as a name; it’s not really much different to Buster.